In your judgment of people who insist on importing foods from specific regions, do you ever stop to think why they have to have them coming in from elsewhere? I mean I’m sure you’ve at least come into contact with a scenario in which a coffee lover absolutely despises the instant coffee you get from some local grocers’ or department store. There’s something to this fussiness which one can only really understand if they’ve had a taste of a certain food or beverage as it exists in its original authenticity. 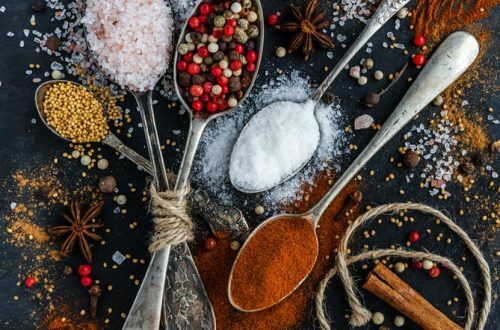 There are plenty of tastes which are unique to specific regions and to help you better understand why some consumers are so fussy, we’ll discuss some of those unique tastes here. Brazilians pride themselves on their local coffee and it goes beyond just playing up their own locally produced goods. The Amazon Jungle has a lot to do with a lot of things, one of which is accounting for some unique habitats to support unique life forms. The coffee beans grown in this South American country have no equal by way of the flavor they produce and the local coffee producers have found so many different ways to bring out this unique flavor. Never fault a coffee lover who insists on their Brazilian coffee until you’ve tasted it yourself! Okay, so there’s no cocoa grown anywhere near Switzerland, but the Swiss are known for their love for chocolate amongst many other things. They’ve certainly mastered the production of chocolate and the outcome is a unique taste which is enjoyed all around the world. There’s a specific brand and blend of Hawaiian coffee which is in such high demand that it’s priced at a premium. There’s a shortage of it as well and people are willing to pay some good money to get their hands on a coffee bean variety that contains a unique taste due to the rich volcanic soil in which it grows. In a rather majestic part of rural South Africa known as God’s Window in the province of Mpumalanga there’s a journey many locals like to make which leads through a winding hike and eventually terminates at a water spring which expels some of the purest water that comes straight from the earth. It’s only water after all, but to many people it’s certainly worth paying a premium for if not sourced directly after making the winding hike. The bears filling up on some of the red salmon of Canada and Russia for their impending hibernation season aren’t the only ones who look forward to what is an annual event. These salmon which are partially protected now make a very long trip inland, swimming upstream and crossing over from saltwater to freshwater. They change color too and assume a characteristically bright red hue, which somehow manages to make them more delicious than they already are. It would take a lot for any fish lover in a restaurant somewhere to be able to enjoy this specific salmon, but many diners go out of their way to make it happen.